The mid-market segment is clearly where all the action is unfolding in Dubai real estate. MAG Property Development (MAG PD), one of the pioneers of mid-market housing in Dubai with the launch of its MAG 5 Boulevard project in Dubai South, has announced plans for another project with similar price points in a plot in Dubai South’s residential cluster, The Village. “There is demand in the market for mid-tier housing. Dubai needs a lot of middle-class people to come and live here to serve its hospitality and other industries. All our future projects will target this segment. When middle-class people start investing in their own property, it means they will stay for longer in Dubai,” said Talal Moafaq Al Gaddah, chief executive offier of MAG PD. The first two phases of MAG 5 Boulevard will be handed over in the second and third quarters of 2018 while the third phase will be delivered in the second quarter of 2019. The master community will include 1,172 homes. Construction has hit the 15 per cent mark. 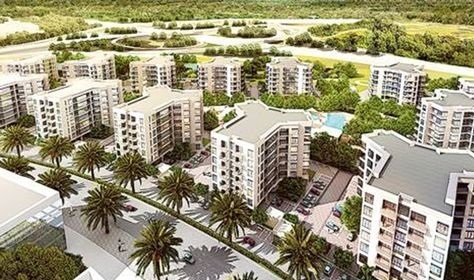 The developer has Dh8 billion worth of projects in the development stage. It will announce projects in Downtown Dubai and Jumeirah Lakes Towers this year, as well as a community spanning 5,000 to 6,000 homes in Meydan. In terms of handovers this year, MAG PD will deliver 1,100 Polo Residences and Polo Townhouses in Meydan, as well as 2.5 million sqft of warehouses in Al Quoz, Jebel Ali and Sharjah. Meanwhile, MAG PD is also set to pioneer wellness real estate in the Middle East through a gated community on the Dubai Creek. To be built and operated by its MAG of Life division, the project will have build and lifestyle elements around the wellness theme – this will extend to paint colour, air conditioning, air filters, light systems, water taps and others. “We will start infrastructure work in April-May and construction in September-October. Sales will be launched in May,” Al Gaddah said. world. “Prior to the actual launch, we wanted to educate the market mag1about wellness real estate,” the CEO adds. The wellness solutions will also be applied in MAG PD’s future mid-tier projects.